Johann Sebastian Bach – German composer and musician. 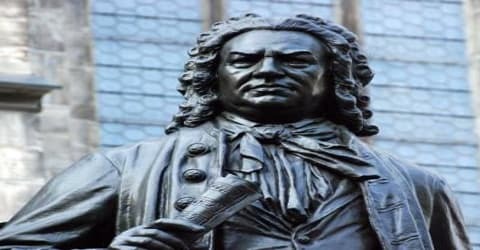 A composer of the Baroque era, the most celebrated member of a large family of north German musicians, Johann Sebastian Bach was born on March 31, 1685, in Eisenach, in the duchy of Saxe-Eisenach, into a great musical family. He was better known as a virtuoso organist than as a composer in his day. His sacred music, organ and choral works, and other instrumental music had an enthusiasm and seeming freedom that concealed immense rigor. Bach’s use of counterpoint was brilliant and innovative, and the immense complexities of his compositional style which often included religious and numerological symbols that seem to fit perfectly together in a profound puzzle of special codes still amaze musicians today. Many consider him the greatest composer of all time. Bach had his early musical training under his father and uncle. He lost both his parents at a young age following which his eldest brother took him into his household and began tutoring him. At fifteen, he was sent to Michaelis monastery at Lüneburg, where he completed his training. Bach began his career as a violinist in Weimar and then shifted to Arstadt as an organist. From there, he went to Mühlhausen and then again to the Court of Weimar, and subsequently to Köthen before settling at Leipzig. Bach enriched established German styles through his mastery of counterpoint, harmonic and motivic organization, and his adaptation of rhythms, forms, and textures from abroad, particularly from Italy and France. Bach’s compositions include hundreds of cantatas, both sacred and secular. He composed Latin church music, Passions, oratorios, and motets. He often adopted Lutheran hymns, not only in his larger vocal works but for instance also in his four-part chorales and his sacred songs. He wrote extensively for organ and for other keyboard instruments. He composed concertos, for instance for violin and for harpsichord, and suites, as chamber music as well as for orchestra. Many of his works employ the genres of canon and fugue. However, in most places, his employers were unsympathetic to his aspirations or talent and therefore Bach did not get either money or fame in his lifetime. His music was rediscovered about fifty years after his death; by then many of his creations had been lost. Today he is considered as one of the greatest composers of all time. Johann Sebastian Bach was born on 31 March 1685, in Eisenach, the capital city of the Duchy of Saxe-Eisenach. His father, Johann Ambrosius Bach, was the court trumpeter for the Duke of Eisenach and director of the town musicians. His mother, Maria Elisabeth Lämmerhirt, was the daughter of a furrier. At the age of eight, young Sebastian started going to the local Latin Grammar School, where, apart from reading and writing, he also studied scriptures in Latin and German. Later as the students formed the choir of the St. Georgenkirche, he was selected as one of the choirboys. Apparently, at his own initiative, Bach attended St. Michael’s School in Lüneburg for two years. After graduating he held several musical posts across Germany: he served as Kapellmeister (director of music) to Leopold, Prince of Anhalt-Köthen, and as Thomaskantor in Leipzig, a position of music director at the main Lutheran churches and educator at the Thomasschule. He received the title of “Royal Court Composer” from Augustus III in 1736. On 17 October 1707, four months after arriving at Mühlhausen, Johann Sebastian Bach married his second cousin Maria Barbara Bach. Together they had seven children, four of who reached adulthood. His surviving children from this marriage were Catharina Dorothea, Wilhelm Friedemann, Carl Philipp Emanuel, and Johann Gottfried Bernhard. They were all born in Weimar. Maria died all of a sudden on 7 July 1720. In 1720 Johann Sebastian Bach met Anna Magdalena Wilcke, a young, highly gifted soprano sixteen years his junior, who performed at the court in Köthen; they married on 3 December 1721. Together they had thirteen more children, six of whom survived into adulthood: Gottfried Heinrich; Elisabeth Juliane Friederica (1726-1781); Johann Christoph Friedrich and Johann Christian, who both, especially Johann Christian, became significant musicians; Johanna Carolina (1737-1781); and Regina Susanna (1742-1809). In his lifetime, Bach received little appreciation; nor was he adequately paid. While for 150 years, he lay in an unmarked grave; his legacy too remained forgotten until the beginning of the nineteenth century. Today, he is remembered as one of the greatest composers of all time. By 1695 both his parents were dead, and Johann Christian Bach was looked after by his eldest brother, also named Johann Christoph (1671-1721), organist at Ohrdruf. This Christoph had been a pupil of the influential keyboard composer Johann Pachelbel, and he apparently gave Johann Sebastian his first formal keyboard lessons. The young Bach again did well at school, and in 1700 his voice secured him a place in a select choir of poor boys at the school at Michaelskirche, Lüneburg. His voice changed a short while later, but he stayed on as an instrumentalist. After taking a short-lived post in Weimar in 1703 as a violinist, Bach became organist at the Neue Kirche in Arnstadt (1703-1707). His relationship with the church council was tenuous as the young musician often shirked his responsibilities, preferring to practice the organ. One account describes a four-month leave granted Bach, to travel to Lubeck where he would familiarize himself with the music of Dietrich Buxtehude. He returned to Arnstadt long after was expected and much to the dismay of the council. In October 1705, Bach managed to get leave to visit Lübeck, where he visited the great organist, Dietrich Buxtehude. There he not only had great discussions with the master but also attended several concerts. Thus he extended his stay, without leave, until February 1606. On his return, he tried to use his newly acquired skills in his new compositions something the choir could not follow, resulting in utter confusion. The church authority decided to reprimand him for those ‘strange sounds’ and also for his absence without leave. The matters came to a head when citing a clause in his contract he refused to train the choir boys. Bach started looking for other opportunities and when in 1706, he heard that the organist to the town of Mühlhausen had died, he applied for the post. As part of his application, Bach had a cantata performed on Easter, 24 April 1707, likely an early version of his Christ lag in Todes Banden. A month later Bach’s application was accepted and he took up the post in July. The position included a significantly higher remuneration, improved conditions, and a better choir. Four months after arriving at Mühlhausen, Bach married Maria Barbara Bach, his second cousin. Bach was able to convince the church and town government at Mühlhausen to fund an expensive renovation of the organ at the Blasius Church. In June 1707 Bach obtained a post at the Blasiuskirche in Mühlhausen in Thuringia. He moved there soon after and married his cousin Maria Barbara Bach at Dornheim on October 17. In 1708 Bach wrote Gott ist Mein König, a festive cantata for the inauguration of the new Council, which was published at the Council’s expense. By 1708 Bach had probably learned all that his German predecessors could teach him and arrived at the first synthesis of northern and southern German styles. He had also studied, on his own and during his presumed excursions to Celle, some French organ and instrumental music. Among the few works that can be ascribed to these early years with anything more than a show of plausibility are the Capriccio sopra la lontananza del suo fratello dilettissimo (1704; Capriccio on the Departure of His Most Beloved Brother, BWV 992), the chorale prelude on Wie schön leuchtet (c. 1705; How Brightly Shines, BWV 739), and the fragmentary early version of the organ Prelude and Fugue in G Minor (before 1707, BWV 535a). Bach left Mühlhausen in 1708, returning to Weimar this time as organist and from 1714 Konzertmeister (director of music) at the ducal court, where he had an opportunity to work with a large, well-funded contingent of professional musicians. On 2 March 1714, Bach became Konzertmeister (director of music) at the ducal court and started performing a church cantata monthly in the castle church. He was now second only to Capellmeister Johann Samuel Drese, who was old and frail. Subsequently, he started taking over the duties of the older musician. He wrote many organ compositions during this period, including his Orgel-Büchlein. Owing to politics between the Duke and his officials, Bach left Weimar and secured a post in December 1717 as Kapellmeister at Cöthen. In 1720, Bach’s wife suddenly died, leaving him with four children (three others had died in infancy). A short while later, he met his second wife, soprano Anna Magdalena Wilcke, whom he married in December 1721. She would bear 13 children, though only five would survive childhood. The six Brandenburg Concertos (BWV 1046-51), among many other secular works, date from his Cöthen years. Bach became Kantor of the Thomas School in Leipzig in May 1723 and held the post until his death. It was in Leipzig that he composed the bulk of his religious and secular cantatas. 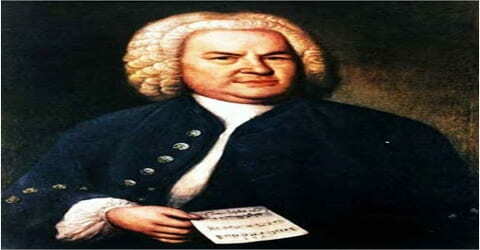 Bach eventually became dissatisfied with this post, not only because of its meager financial rewards but also because of onerous duties and inadequate facilities. On June 11, 1724, the first Sunday after Trinity, Bach began a fresh annual cycle of cantatas, and within the year he wrote 52 of the so-called chorale cantatas, formerly supposed to have been composed over the nine-year period 1735-44. The “Sanctus” of the Mass in B Minor was produced at Christmas. 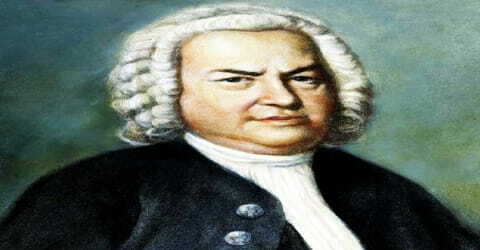 During his first two or three years at Leipzig, Bach produced a large number of new cantatas, sometimes, as research has revealed, at the rate of one a week. This phenomenal pace raises the question of Bach’s approach to composition. Bach and his contemporaries, subject to the hectic pace of production, had to invent or discover their ideas quickly and could not rely on the unpredictable arrival of “inspiration.” Nor did the musical conventions and techniques or the generally rationalistic outlook of the time necessitate this reliance, as long as the composer was willing to accept them. The Baroque composer who submitted to the regimen inevitably had to be a traditionalist who willingly embraced the conventions. Bach also became music director at the Dresden Court in 1736, in the service of Frederick Augustus II; though his duties were vague and apparently few, they allowed him the freedom to compose what he wanted. Bach began making trips to Berlin in the 1740s, not least because his son Carl Philipp Emanuel served as a court musician there. From 1740 to 1748 Bach copied, transcribed, expanded and/or programmed music in an older polyphonic style (stile antico), by, among others, Palestrina (BNB I/P/2), Kerll (BWV 241), Torri (BWV Anh. 30), Bassani (BWV 1081), Gasparini (Missa Canonica) and Caldara (BWV 1082). Bach’s own style shifted in the last decade of his life, showing an increased integration of polyphonic structures and canons, and other elements of the stile antico. His fourth and last Clavier-Übung volume, the Goldberg Variations, for a two-manual harpsichord, contained nine canons and was published in 1741. 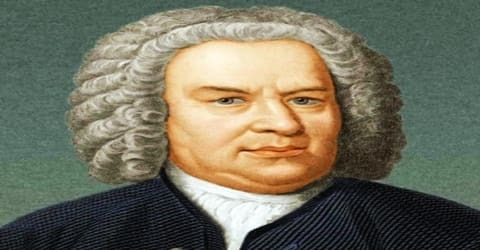 Throughout this period, Bach also continued to adopt music of contemporaries such as Handel (BNB I/K/2) and Stölzel (BWV 200), and gave many of his own earlier compositions, such as St Matthew and St John Passions and the Great Eighteen Chorale Preludes, their final revisions. He also programmed and adapted music by composers of a younger generation, including Pergolesi (BWV 1083) and his own students such as Goldberg (BNB I/G/2). In 1747, Bach joined the Correspondierende Societät der musikalischen Wissenschafften (Corresponding Society of the Musical Sciences) of Lorenz Christoph Mizler von Kolof. However, from 1749, his health began to decline and his eyesight also became dim. His last large work, ‘Mass in B minor’ was composed sometime in 1748-49. In January 1749 Bach’s daughter Elisabeth Juliane Friederica married his pupil Johann Christoph Altnickol. Bach’s health was however declining. On 2 June, Heinrich von Brühl wrote to one of the Leipzig burgomasters to request that his music director, Johann Gottlob Harrer, fill the Thomaskantor and Director musices posts “upon the eventual … decease of Mr. Bach”. 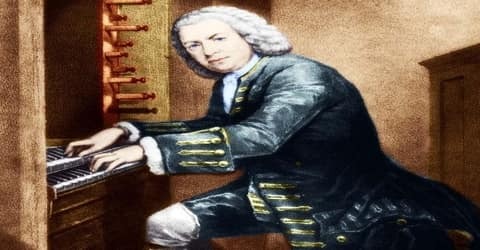 Becoming blind, Bach underwent eye surgery, in March 1750, and again in April, from the British eye surgeon John Taylor, a man widely understood today as a charlatan and who is believed to have blinded hundreds of people. Johann Christian Bach’s eyesight began to suffer from the middle of 1749. Subsequently, he had his eyes operated upon by John Taylor, first in March 1750 and then again in April 1750. Eventually, he died on 28 July 1750 as a consequence of these unsuccessful operations, at the age of 65. At the time of his death, Bach’s estate consisted of a great many musical instruments and fifty-two religious books. There was no or little money. When his wife died ten years later, she was given a pauper’s funeral. An inventory drawn up a few months after Bach’s death shows that his estate included five harpsichords, two lute-harpsichords, three violins, three violas, two cellos, a viola da gamba, a lute and a spinet, along with 52 “sacred books”, including works by Martin Luther and Josephus. The composer’s son Carl Philipp Emanuel saw to it that The Art of Fugue, although still unfinished, was published in 1751. Together with one of the composer’s former students, Johann Friedrich Agricola, this son of Bach also wrote the obituary (“Nekrolog”) which was published in Mizler’s Musikalische Bibliothek, the organ of the Society of Musical Sciences, in 1754. In his long career, Johann Sebastian Bach created a large body of music. Among them, his ‘Brandenburg Concertos’, composed by 1721, is believed to be one of the best orchestral compositions of the Baroque era. ’The Goldberg Variations, BWV 988’ is another of his major works. Named after Johann Gottlieb Goldberg, the work was first published in 1741. It is considered to be one of the most important examples of variation form. 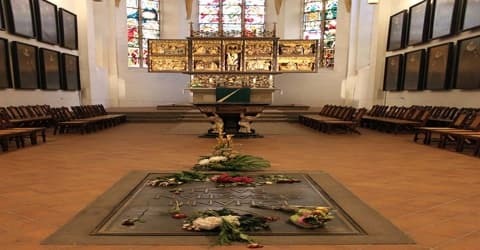 Bach was originally buried at Old St. John’s Cemetery in Leipzig. His grave went unmarked for nearly 150 years, but in 1894 his remains were located and moved to a vault in St. John’s Church. This building was destroyed by Allied bombing during World War II, so in 1950 Bach’s remains were taken to their present grave in St. Thomas Church. Later research has called into question whether the remains in the grave are actually those of Bach. For about 50 years after Bach’s death, his music was neglected. This was only natural; in the days of Haydn and Mozart, no one could be expected to take much interest in a composer who had been considered old-fashioned even in his life especially since his music was not readily available, and half of it (the church cantatas) was fast becoming useless as a result of changes in religious thought.